The Year's Best Science Fiction and Fantasy Novellas 2015 inaugurates a new annual series of anthologies featuring some of the year's best novella-length science fiction and fantasy. Novellas, longer than short stories but shorter than novels, are a rich and rewarding literary form that can fully explore tomorrow's technology, the far reaches of the future, thought-provoking imaginings, fantastic worlds, and entertaining concepts with the impact of a short story and the detailed breadth of a novel. 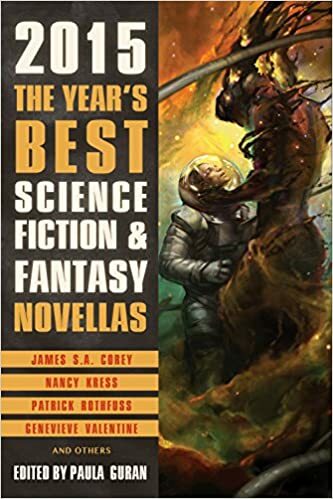 Gathering a wide variety of excellent SF and fantasy, this anthology of "short novels" showcases the talents of both established masters and new writers.